A number of reputable online binary options brokers allow new traders to set up a demo or practice account that will give them temporary access to their binary options platforms. Demo accounts are used to “test-drive” the broker’s platform and all the features that come with it. This serves as an excellent opportunity for newcomers to explore the ins and outs of a particular platform. However, most brokers impose a time limit while others limit the services and features on their demo accounts. As a result, traders are forced to open a live account in order to access the broker’s platform services. Luckily for you, WinOptions has developed an innovative simulation of our real live accounts. 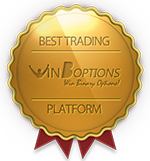 WinOptions demo account allows you to examine our platform services to see if it’s sufficiently easy to use and will be suitable for your trading needs. It’s our prime duty to keep our traders confident and well-informed. With proper guidance and sufficient information about the markets, traders will be armed with the right tools to achieve trading success. As a global provider of trading opportunities, we believe that our Win Options demo account is an excellent learning vehicle for those who are eager to learn Win Options binary options. If you want to build your confidence first before engaging in real-time trading, then our demo account is the best option for you. Our unrivalled demo account is filled with practice money that you can use to tryout different trading instruments and tradable assets. What’s more, it comes with all the remarkable features and professional services of our real WinOptions trading accounts that make for an authentic trading experience. WinOptions demo account maintains a secure and error-free trading environment that allows you to execute trades swiftly and efficiently. While others impose a strict time limit on their demo trades, at WinOptions you can trade as much as you want provided that you still have credits in your practice account. This way, you will be able to explore our platform services and construct an effective strategy on your trades. Demo trading is a significant part of your education as a trader, especially if you’re a beginner. Through demo trading, you can learn different techniques and WinOptions strategies. You can also learn tips from your professional account manager or from your fellow traders. When you sign up for our Win Options demo account, you will be guided by our team of market specialists and will teach you to trade one-on-one. They will guide you throughout the learning process, offer professional advice and share their secrets to successful trading career. The best part about this demo account is that you do not need to make a real money deposit to get started. A quick phone call to our customer service department can get you up and running in no time. Just give us your personal details and we will set up your practice account as soon as possible. 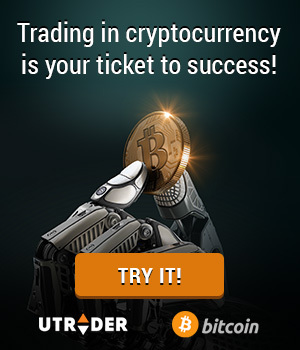 Begin honing your skills as a trader and once you’re ready to trade for real, simply register for a live trading account and start making huge profits.